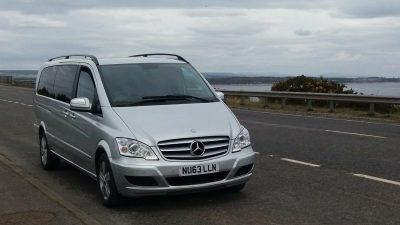 We cater for those wishing to travel around the Highlands and beyond in a relaxed and comfortable environment..Airport and Golf transport are our speciality but we also cater for special occasions, weddings and bespoke tours of the amazing Highlands & Islands of Scotland. We carry out work for all the major hotels in the area. These include the award winning Links House here in Dornoch. DPH also have a great working relationship with the Royal Dornoch Golf Club. Scotlands No.1 golf course is the jewel of the north and a must play for golfers from both the UK and worldwide. 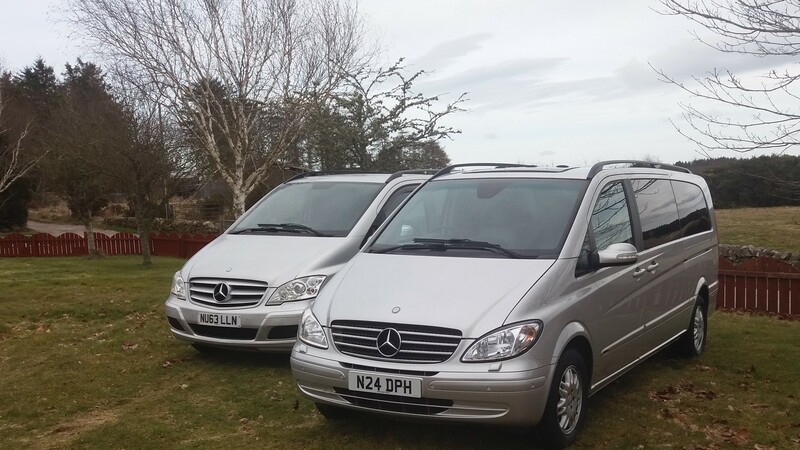 We currently operate two luxury spec Mercedes Viano’s which seat a maximum of six passengers. Both vehicles are equipped with rear privacy glass and climate control for your privacy and comfort. Complimentary wifi is also provided. A child seat or booster seat can be provided on request. We take great care in our vehicles and this reflects in the pristine condition they are kept in. Our locally based drivers are dressed accordingly for every situation be it an airport transfer, wedding or tour. 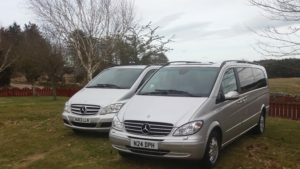 We provide a professional service but with a friendly approach to make every journey enjoyable. Unlike others making claims to be based in Dornoch, we really are.. We are a family run company just minutes away from the town centre.